Enjoy our Online Auctions in the Comfort of Your Home ~ Bid Ahead of Time or During the Very Last Minute. Lots End a Minute Apart During the Last Few Hours of Our Online Auctions. Join Us for Our Timed Online Only Auctions. Registering is easy and safe. When you list your Real Estate with us, We can also auction your personal property. Don't Miss Out! Make Sure You Are On Our Mailing List! A Few Items From Our Last Personal Property Auction ~ Thanks To All That Attended Our Auction! We offered all kinds of items from several estates. Furniture, Home Decor, Hallmark Ornaments, Household Items, Glassware, Porcelain, Linens, Vintage Pottery, Lamps, Lamp Shades, Collector Dolls, Prints, Antique Stenotype Machine, Trunks, Fishing Items, Collector Plates, and what would any respectable Estate Auction be without a George Foreman Grill? Plus, as always, we had "Les Junque Extraordinaire." The dolls did well. Who knows what will be in our next auction! 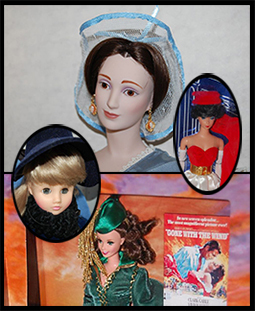 We offered many Madame Alexander and Barbie Dolls, as well as some other collectible dolls. They were beautiful Dolls. Register Online to Bid at Proxibid! You can register anytime to bid at Proxibid Auctions. Click the Proxibid Logo to the Left to Register and Bid on Proxibid. (Then Click on the "Sign Up" button at the top. If you have any problems, contact Proxibid. Their toll free number is 1-877-505-7770. Proxibid's customer support is outstanding! If you have already registered for past auctions, Click "Log In." Again, if you have any problems, contact Proxibid. Pay and Pickup Times, TBA. Local bidders MUST pay for and pick up their winning bids during these times. Please note: We do not automatically charge the credit card you used to register to bid at Proxibid. Please bring your credit or debit card, or cash when you pick up your items. Sorry, but we do not accept checks. We strive to hold the best, most professional auctions possible, held anywhere. We are very proud of Sachs 5th. Take a look at our Auctions 101 page. There is information there concerning the type of items that work well, or don't, in an auction venue. Plus, there is information about how our auctions work. That being said, please contact us with any questions. Lorraine is one of the few Realtors® in New Mexico who is also an experienced auctioneer. Need to sell or auction real estate? Call Lorraine at 505.864.8081. If you list your Real Estate with Sachs 5th, we can auction the personal property if that is the right venue for you. Our auctions are Timed Online Only. Online auctions greatly expand the buyer base, exposing your consignments to buyers from all over the United States. We take care to photograph each lot and provide a description for our online auctions. 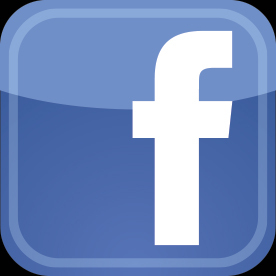 Please visit our Auctions 101 page for more information. If you are a consignor interested in a live auction, contact Lorraine. Contact Lorraine Sachs Garcia for more information at: 505.864.8081 or 505.864.8065. Of course, we are a traditional real estate company as well. So if you want to buy or sell, we can help you. We have a great team of professionals. We would like for you to know what our co-owner, Anthony Garcia, and his brother in law, Danny Sachs, do for bees in our community. The photos are of a Bee Rescue. If you watch the news, you may be aware of the crisis bees are experiencing at this time. They are essential for pollination of plants that provide us our food. Losing a great number of bees would be a huge disaster. Anthony and Danny rescue bees that are a hindrance to homeowners, and give the bees a new home. This is much more than a hobby for them, It is a passion. All they receive for their efforts is some thanks, and a few jars of honey. Beekeeping is not an easy task. Unlike several episodes of This Old House which made it appear simple to have your own hives, it is a lot of work. Beeware! Get some education before you go into the bee business. If you are in a situation where bees have made an unwanted hive on your property, try to find a beekeeper to relocate them. Many will do this at no charge. Extermination should be a last resort. There is also a YouTube movie by Jody Rigoni. Type in - 1 BEE Whisperers - in the search bar. Or CLICK HERE.